Former directors of the predecessor company of Ayo Technology Solutions are suddenly finding themselves owning shares in the beleaguered company that they would very much like to sell – if only someone would buy them. 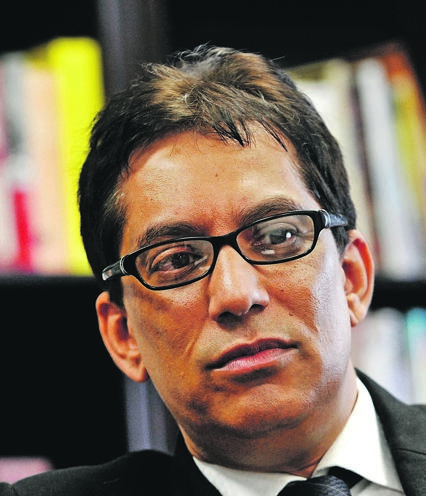 Amid shocking new allegations that surfaced this week about Ayo and its ultimate indirect shareholder, Iqbal Survé, City Press also established that much of the limited trading of the share on the JSE consists of these former directors selling shares – with Survé himself being almost the only buyer. Even with incredibly low liquidity – the volume of shares available for trade – Ayo’s share price has plummeted from the initial R43 that the Public Investment Corporation (PIC) controversially paid, to only R14.50 this week. Former directors of what was known as Sekunjalo Investments two decades ago were given an option to buy shares in a subsidiary then known as Sekunjalo Healthcare, which was meant to get listed on the JSE almost 20 years ago. Instead, they have been sitting on unsellable shares they paid for until now – in the form of Ayo shares. Unfortunately, they are still almost impossible to sell because there is simply no one who will buy them. One former Sekunjalo director, Dianne Case, told City Press that she had “been trying for many years to get my investment out of Sekunjalo”. Another former director told City Press how he learnt from in media that Ayo was listing, and then “dusted off” his old share certificates to trade them for Ayo shares at the apparent value of R43. He has been unable to sell more than small tranches of 1 000 or so shares because there are just no buyers, he said. “These guys have to answer for the erosion from R43 to R14,” he said. Their limited sales, however, make up a lot of the trading of the share. City Press has previously reported that the main buyer was Survé himself, through two companies he controls. New allegations made this week at the commission of inquiry into the PIC by former Ayo CEO Kevin Hardy and chief investment officer Siphiwe Nodwele about the internal machinations at Ayo are unlikely to help shareholders. Most of the attention has been given to the alleged attempt to “massage” Ayo’s financial results and inflate its valuation to justify the PIC’s controversial R4.3 billion investment in the company. But that is just the beginning. Virtually all the deals using the PIC’s money that Ayo has announced to date have been related party deals, claims Nodwele. City Press has already reported on many of these, but Nodwele raised additional ones. It bought 40% of a company partially owned by its own parent, African Equity and Empowerment Investments (AEEI) – namely, Saab Grintek. Ayo bragged about this acquisition in its results this month, without mentioning the pre-existing AEEI ownership – or disclosing the price paid. Nodwele said that yet another deal was in the works to buy a company called Cortex from a friend of AEEI chairperson Vukile Mehana. This follows the massive cash infusion initially planned from Ayo to AEEI. Ayo was meant to use the PIC cash to pay its own parent company, AEEI, R1 billion for 30% in British Telecoms SA – a heavily inflated price, according to Hardy, who previously worked at that same company. As previously reported, the fees for Ayo’s listing went mostly to AEEI as well. The one major acquisition Ayo has made to date, 55% of Sizwe Africa IT, had AEEI chair Mehana sitting on both sides of the deal – the seller and the buyer – while also getting paid millions for his own stake in Sizwe. Further acquisitions by Ayo include 32% of the Vunani Group, which was renamed Bambelela last month, for R145 million in equity and R100 million in debt. Hardy and Nodwele this week both testified that they had rejected this deal out of hand before they resigned in August last year. They say that, in effect, it was a way to bail Vunani out of its debt to Investec, after Vunani had sponsored the failed listing of another Survé-linked company – Sagarmatha – last year. Nodwele said he had been pressured to sign a deal that would award Vunani an “acquisition tax” of 2% of the value of any acquisition by Ayo, on top of normal fees. City Press previously reported on Ayo’s moving of R400 million of the PIC cash to investment manager 3 Laws Capital – Survé’s company, which has also been a buyer of Ayo shares. According to testimony from Hardy and Nodwele, this was to be only the beginning as a resolution was later given to them to sign that would give the chief financial officer of Ayo, Naahied Gamieldien, the ability to single-handedly invest the R1.5 billion of the PIC cash in any asset manager up to the same amount given to Survé’s company: R400 million. This meant one person could sign away a third of the company’s cash. This breached “every governance rule”, said Nodwele. The testimony of Hardy and Nodwele has already prompted the JSE to announce this week that it is “conducting various investigations” into allegations made about Ayo. The stock exchange has also ordered Ayo to get auditors’ opinions on its interim financial reports last year and on the ones released last week. Ayo has responded to the allegation of inflating financial numbers in particular, saying through an unnamed spokesperson that “Ayo strongly refutes such claims and wishes to assure all stakeholders that this was not the case”. The value and financial results of Ayo were not the only things allegedly overstated. Hardy further alleges that Ayo’s initial claim when it listed, that its share offering had been “oversubscribed by R1 billion”, was fake. He said the supposed subscriptions were meant to create the impression that investors other than the PIC believed the company’s valuation, but all came from related parties who had no real intention to pay for Ayo shares. City Press raised the suspicious claim of oversubscription with Hardy in April last year, to which he had, at the time, responded that the offer was indeed “heavily oversubscribed”. Oversubscription means that more people want to buy shares before a company lists than are available. Among the many allegations made in Hardy and Nodwele’s statements is one about the alleged propaganda campaign spearheaded by Independent Media, also controlled by Survé, to defend Ayo. Frequent front-page articles praising and defending Ayo have appeared in Independent’s Business Report publication, often carrying a byline of “staff reporter”. Nodwele has now alleged that these articles were, in fact, written by Feroza Petersen, the marketing manager of Ayo’s parent company AEEI. Hardy was also explicitly told by Takudzwa Hove, the media group’s finance chief, that “the reason Ayo existed” was to help Independent.